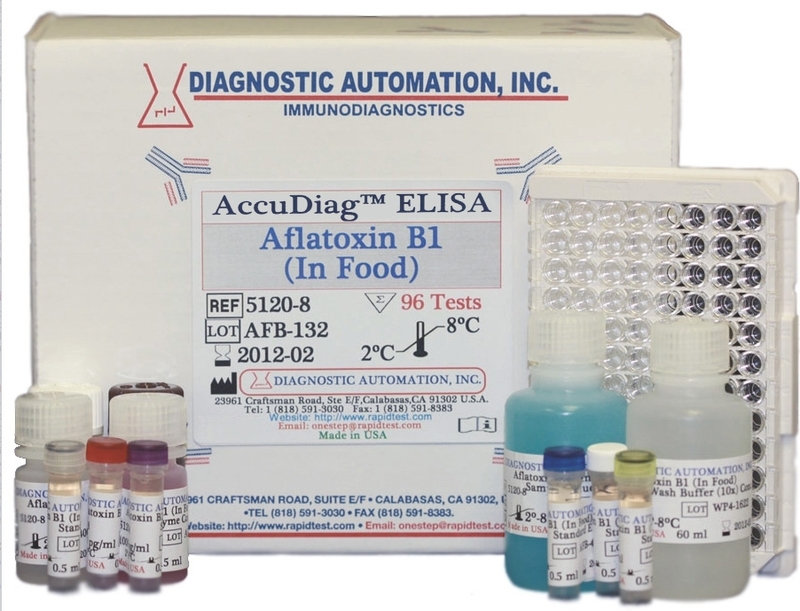 The Diagnostic Automation, Campylobacter assay is an enzyme-linked immunosorbent assay (ELISA) that may be used to screen food products for the presence of thermophilic Campylobacter antigen. 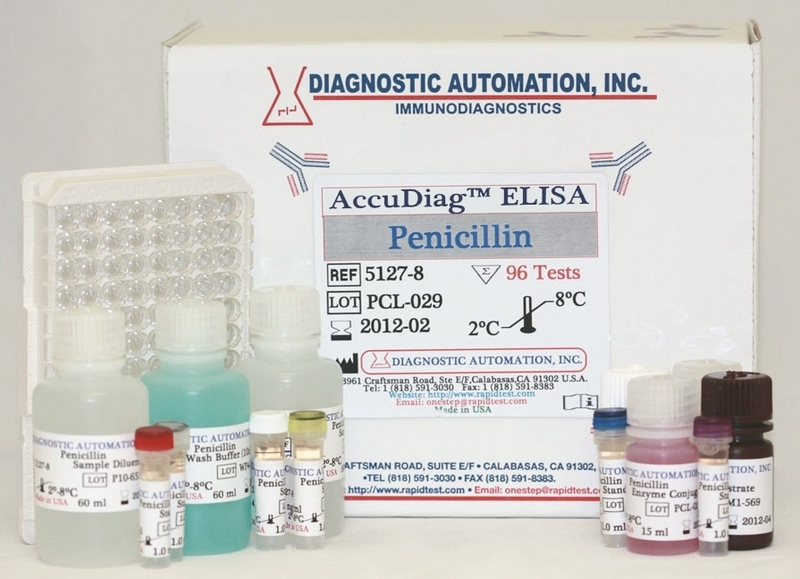 This Campylobacter ELISA reduces time to result by several days. Infection by thermophilic Campylobacter species is a leading cause of human gastroenteritis. Of the various species of Campylobacter, C. jejuni, C. coli and C. lari, are the species most often associated with human illness. Campylobacter are often passed to humans through the handling or consumption of contaminated food, particularly foods of animal origin. Recently, human infection with Campylobacter has been implicated in the induction of Guillain- Barr A Syndrome (GBS) and reactive arthritis. GBS is a debilitating and potentially fatal neurological disease that produces paralysis. 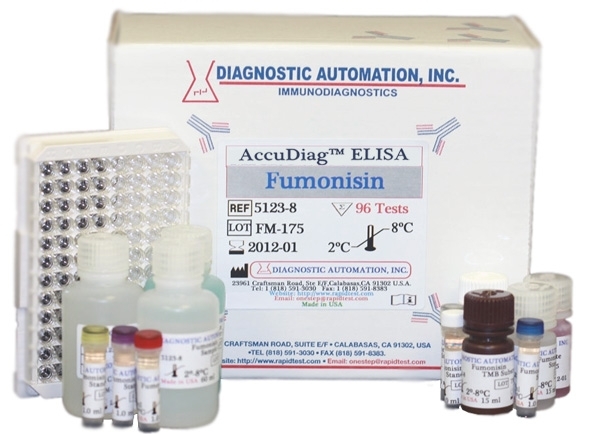 The Diagnostic Automation, Campylobacter ELISA is a double antibody (sandwich) ELISA utilizing specific anti-Campylobacter antibodies coated to microwells. Cultivation of thermophilic Campylobacter species from foods involves multiple media steps, and thus many days. 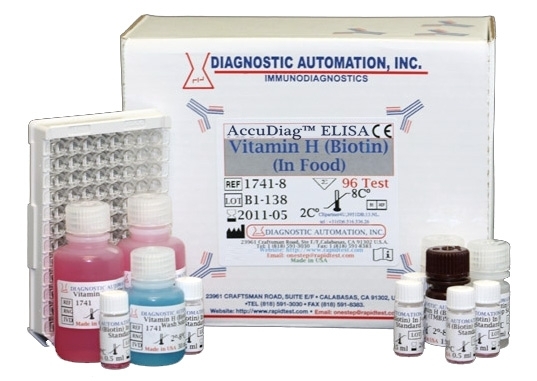 The Diagnostic Automation, Campylobacter Microwell ELISA test kit allows rapid testing (less than an hour) of the enrichment broth, thus eliminating the need for the plating and identification steps used in the standard methods.